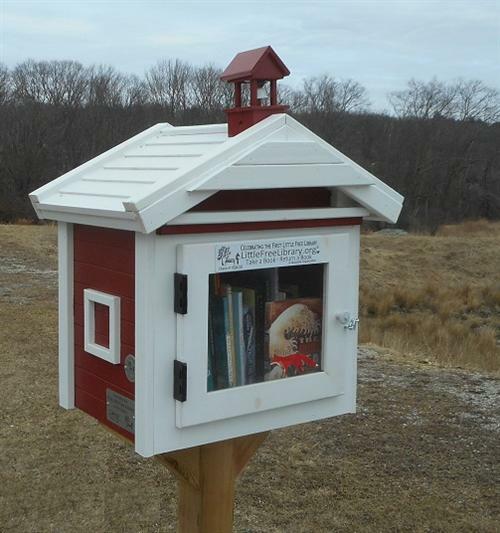 I got this handsome hardcover from this Little Free Library in Dracut MA while dropping off some books of my own. It's a fascinating work, a combination of art, biography, and a history of radioactivity. The author's notes at the end describe the cyanotype printing used on her artwork, and the typeface she created (!). There are period photos and other illustrations along with the author's artwork, all interspersed with snippets of Curie's biography, the effects of radioactivity (including testimony from a Hiroshima survivor), and much more. There's even a "radioactive bestiary" at the end - which includes Spiderman (bitten by a radioactive spider). While the overall effect is quite fascinating, I found the unusual typeface on multicolored backgrounds with odd spacing rather hard to read at times. Still, this is a remarkable work!